To forestall vote-buying in the 2019 general elections, the Independent National Electoral Commission has said that it is looking at the possibility of making the process of voting more secret. The Chairman of INEC, Prof. Mahood Yakubu, said this in Abuja on Wednesday when some Civil Society Organisations led by popular artiste, Charles Oputa, aka Charly Boy, visited the headquarters of the commission. Yakubu said there were reports of vote-buying in Anambra, Edo and the recently concluded governorship election in Ekiti State. 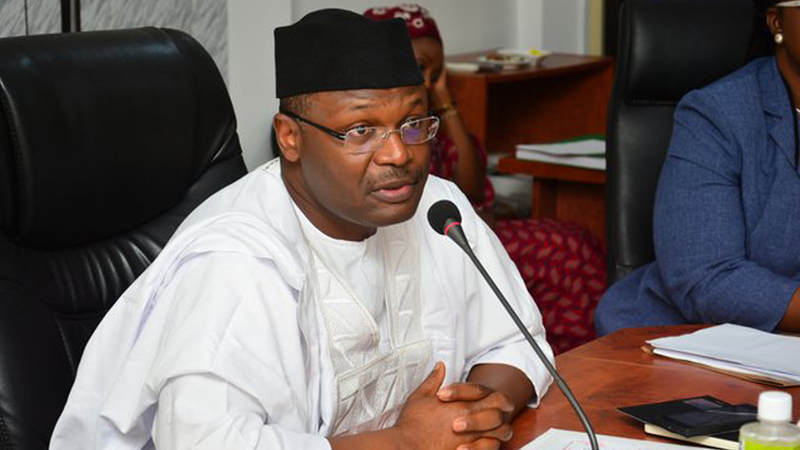 The INEC boss said vote-buying was on the rise because the snatching of ballot boxes and other violent forms of rigging had become almost impossible. He said the Electoral Act recommends an open secret ballot system which allows voters to cast their ballots publicly. The INEC boss said, “First, we must look into the administration of our polling unit, particularly the place where we place the voting cubicle where the citizens vote and the place where we keep the ballot box. Remember the law says it is an open secret system. Yakubu defended the decision of INEC to stop voter registration on August 17. He said nearly eight million Permanent Voter Cards had remained uncollected since 2015 while about 11 million new persons had been registered. The INEC boss said stopping the registration would give the commission time to focus on the distribution of PVCs. In his remarks, a Presidential aspirant and convener, Take it back movement, Omoyele Sowore, appealed to the INEC boss to extend the registration of voters to the middle of December. Also speaking, the National Secretary, Our Mumu Don Do coalition, Mr Ralph Adebayo, said there was an urgent need for INEC to stop sharp practice perpetrated by its officials at registration centres. He said his group had spent close to N100, 000 on the registration exercise which ought to be free.